My Joey has been working really hard to accomplish one of his dreams- he’s building a recording studio with one of his close friends- and it’s ALMOST finished. 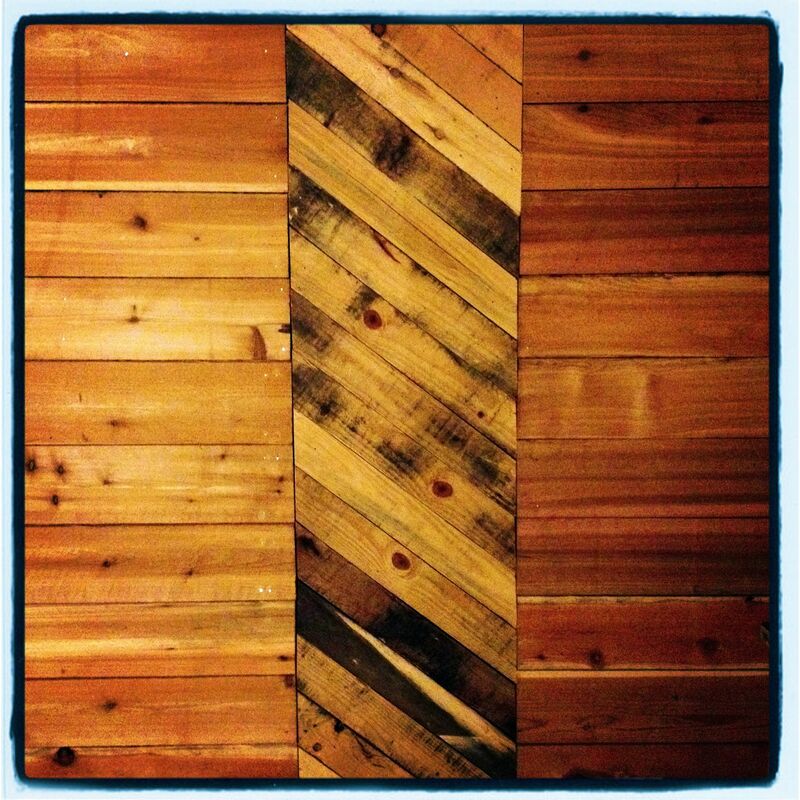 My favorite part is the interior walls, which are covered in reclaimed wood from shipping pallets and planks of cedar. I’ve been dreaming up ways to get some knitted goodness into this studio, so when Joey asked me to knit some coasters I jumped on the chance. 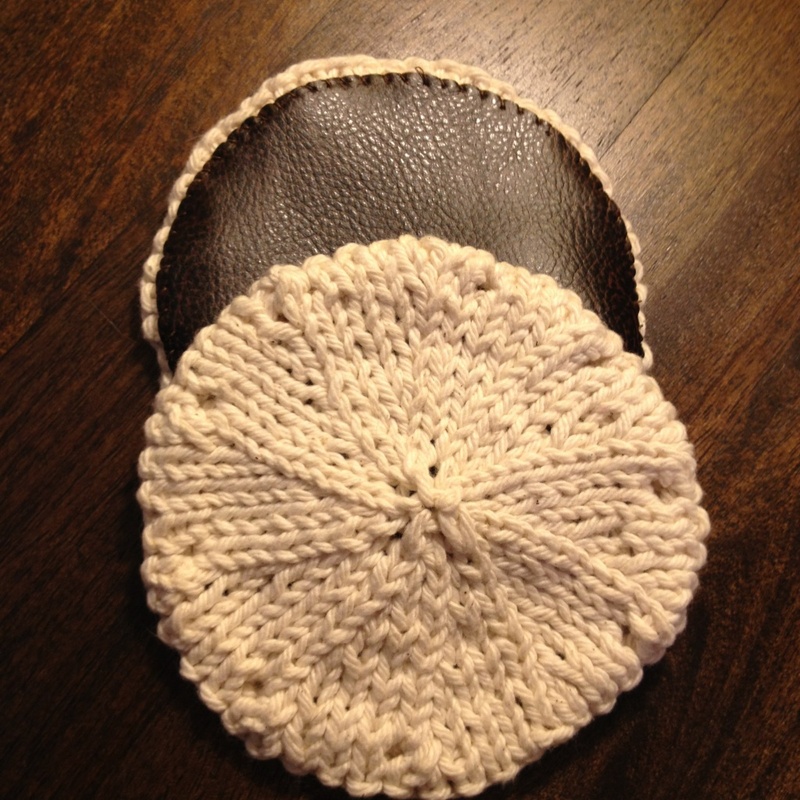 I looked around on Ravelry and decided upon the pattern Calla Coasters by The Purl Bee. I knitted these two with simple Sugar ‘n Cream cotton and sewed faux leather on for the backing so that they’ll look right at home in this wood-filled studio. The wood textures look great. The coasters are nice too! Terrific work by you both!